After all, fairytale weddings don't just happen.... They're Planned! Attention to details is the driving force behind Forever & Always - it begins with the ability to listen to every client. We are here to facilitate ideas into reality, give guidance, direction and support. Our job is to make your wedding a reflection of you, to make it as easy and stress-free as possible for you and your families. Our guarantee is: This will always be YOUR Wedding and total honesty and high business ethics will always be shown by us. The initial consultation is FREE with no obligation or commitment on your part. 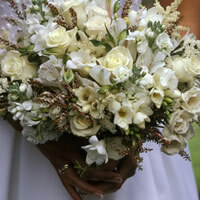 We offer 4 levels of service ranging from consultation only to complete wedding planning service.